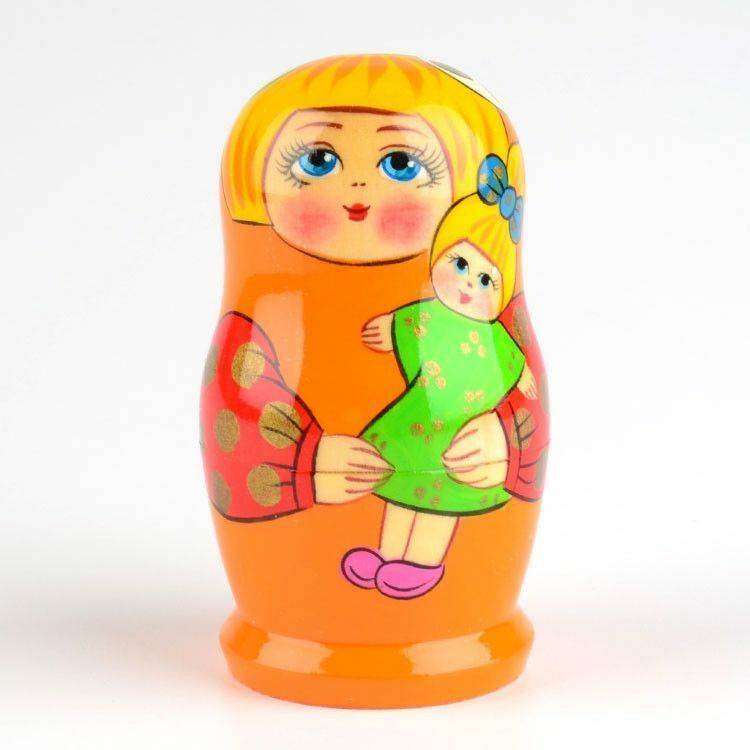 This darling little nested doll has a painting of a blonde hair, blue-eyed girl, wearing a polkadot bow in her hair, carrying a look-alike dolly. 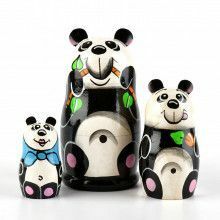 It was painted with simple and basic colors and is about 3 1/2" tall. 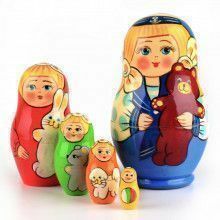 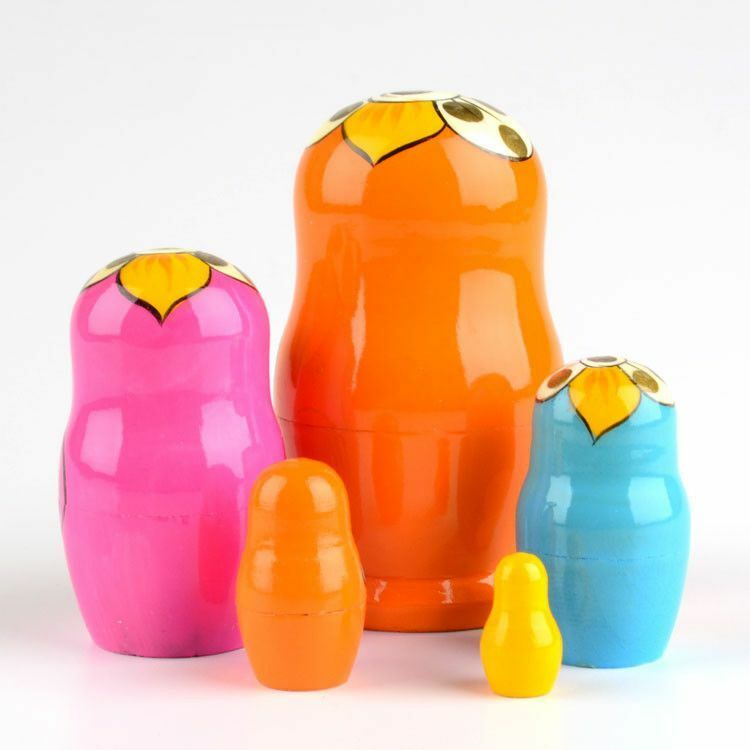 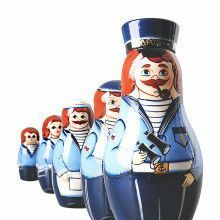 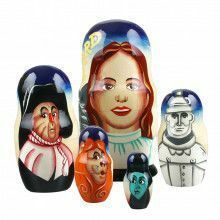 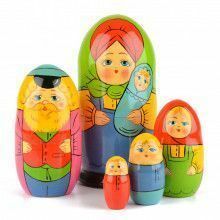 Cheer up any kid with this 5 piece, highly glossed nesting doll from Russia.